significant improvement in surgical intervention and patient care.New medical equipment, instruments, surgical supplies and method of interventions are introduced, integrated and adopted by clinician to cope up with the changing needs in providing the best surgical care. However, failure in equipment and technology are implicated in surgical errors and adverse event. About 15 errors occur during a typical operation and 24% of these errors are accounted to equipment and surgical technology failure. , and device malfunction was responsible for 33% of cases. The preoperative arena is a unique environment that includes many challenging variables: complex clinical care performed by teams; high cost, sophisticated technologies; and a large array of supplies, instruments, and implants that are difficult to manage. These variables create an environment of massive complexity and unfortunately, are a source of a significant percentage of patient safety-related adverse event. For decades the preoperative fundamentals has not change that most of it had become obsolete, wasteful, impractical and unsafe. With the inherent complexity of the perioperative environment combined with utilization of intricate, state of the art; not to mentioned expensive medical/surgical equipment and technology , can become overwhelming and strenuous for the OR personnel whom on top of it all is also expected to deliver a safe and quality patient care in a fast paced controlled environment. In this age of robotic surgery, revolution in modern medicine and advancement in medical and surgical technology, perioperative personnel competency has been challenged, demanded and innovation is now needed.
" Competence refers to potential ability and/ or capability to function in a given situation. Competency focuses on ones actual performance in a situation. This means that competence is required before one can expect to achieve competency." Opportunities abound for technology and informatics-based competency improvements in perioperative care. What better way to achieved competency than to adopt technology itself and its many developed and yet to be develop contemporary methods or applications that will enhanced and elevates OR personnel's competence. Wearable technology; like Google GLASS, isn't just a set of neat gadget. Its a technology that is making its way from something that we hold in our hands to something we can wear hands-free to enhanced our lives. So it make perfect sense that health care is one industry that see a lot of benefits with wearable technology. Recently, the move towards " ubiquitous computing" had led to the development of a new technology category: wearable technology. Most of this device are so called "smart hardware", combining computer and connectivity capability. Google GLASS is a wearable computer that you donned in your head. It is equipped with a heads up display that has resolution of a 46' flat tv view from 3 feet away, a camera with audio, video and still capture capability, wi-fi, bluetooth and USB cable connectivity and an operation almost entirely hands free. Successful adoption of any technology, especially in a clinical environment, providing resources for training of all affected clinicians is critical. Successful training in the perioperative environment is especially challenging, since hour available are typically limited and costly. In an absence of an informatics and technology-base generic process structure; like developing a web-base application for the hand held and wearable technology, that can be utilized as an educational resource equipping everyone with real-time access to data and information, the organization have to train, re-train and "reinvent the wheel" again and again which could result in time and cost escalation. 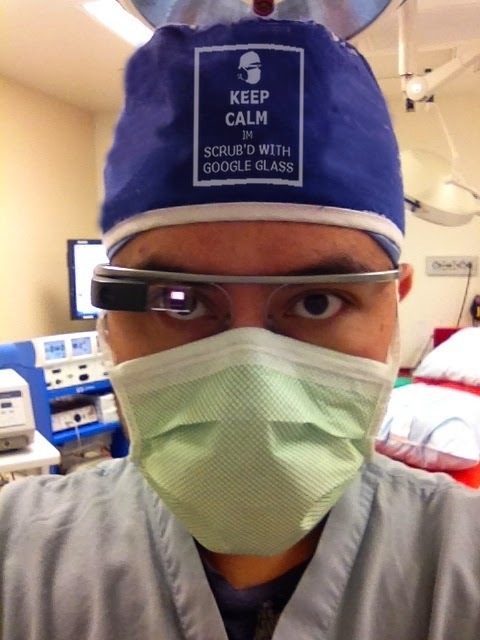 Google GLASS has the potential to be an effective device to improved personnel performance, which translate to a cost effective, efficient and safe delivery of medical/surgical care. Technology has revolutionized the world of surgery and transform how surgical intervention are performed and perfected. 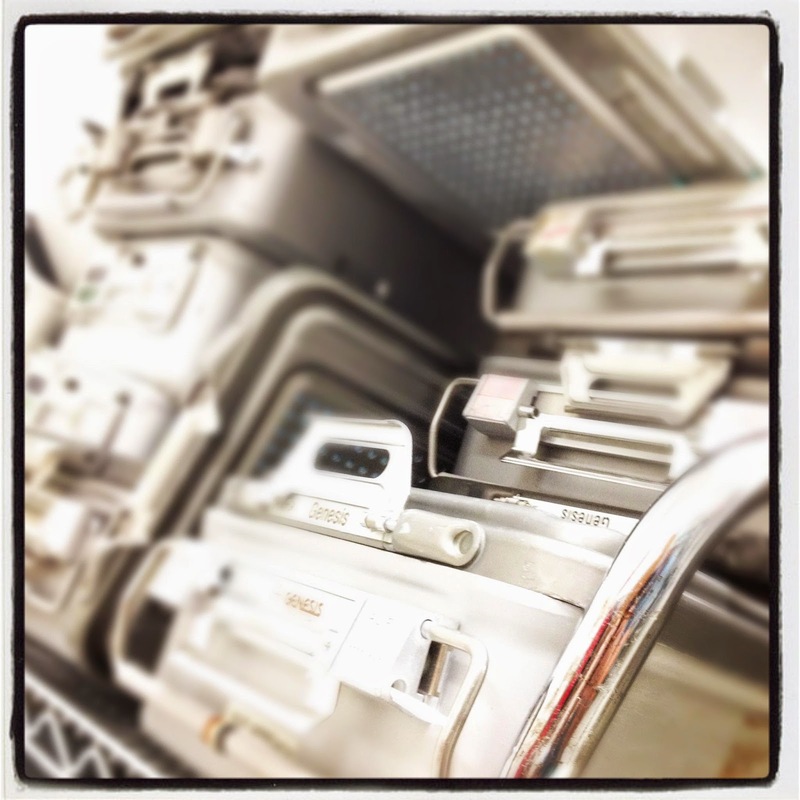 To be an effective, efficient and confident part of the surgical team, it is prudent to adopt and used technology as a tool of the trade for the preoperative personnel.